Established in the early seventies, Polk Audio is an American manufacturer of loudspeakers known for making quality products that do not cost too much. And Polk Audio T15 bookshelf speakers perfectly fit this description. 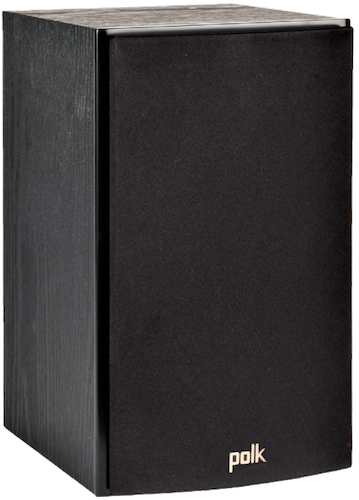 T15 speakers are designed to deliver clear audio in a wide range of frequencies, with as little distortions as possible. Vocals sound natural, highs are resonance-free, and even bass is surprisingly good. We say ‘surprisingly’ because the experience has shown that budget speakers aren’t too good when it comes to playing low frequency notes. But, if you turn the bass up on your Polk Audio T15, it won’t ruin the balance, even if you keep your hands off of treble. Sure, when shopping for a set of bookshelf speakers, you’re looking for loudspeakers that are gonna impress you with their audio performances. But, you also want the speakers to look nice. After all, bookshelf speakers are meant to be kept on the bookshelf where everyone is gonna see them. Polk Audio T15 are great in this aspect as well. Their all-black design makes them a suitable choice for anyone. Black is always in fashion and these speakers won’t disturb the harmony of your interior design. And because each of the two speakers in the set is pretty compact, you should have no problems finding room for them. As the name of this type of speakers suggests, they belong on the bookshelf. But, you can keep them elsewhere without worrying they would look misplaced. In fact, a number of users choose to keep them on the wall. This is actually something the manufacturer had in mind when they added keyhole slots at the back of each unit. 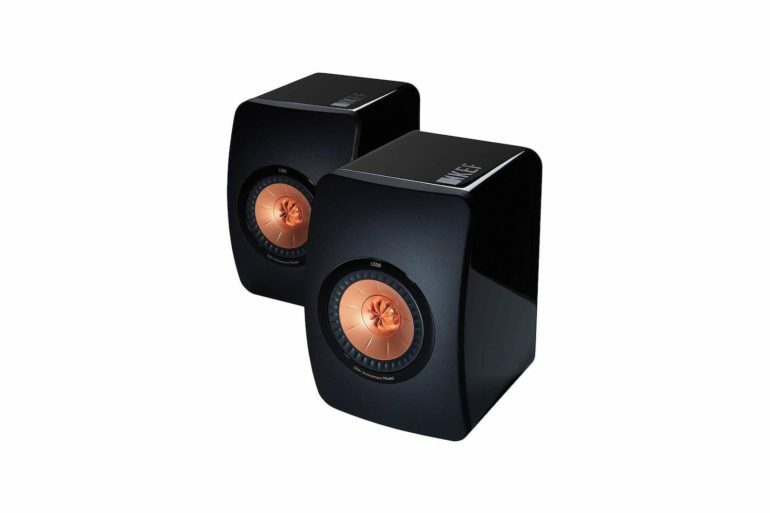 Frequency response 45 – 24000 Hz– These speakers can deal with audio in a very wide range of frequencies. In fact, they cover almost all the frequencies that the human ear can register. And this includes low frequencies as well. 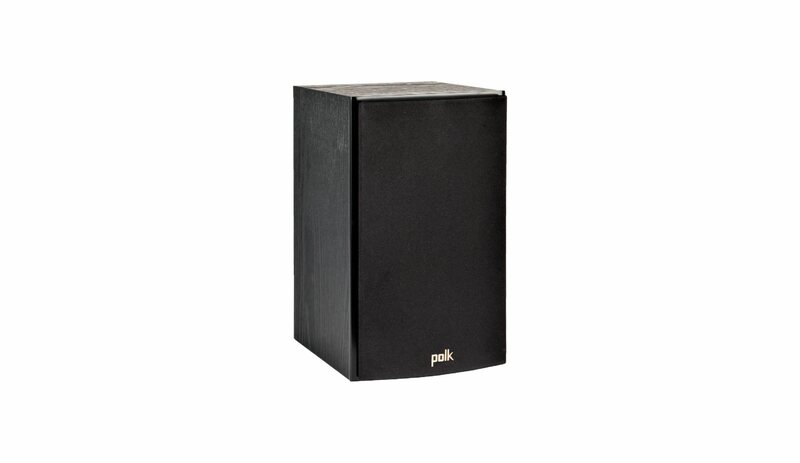 Therefore, buying Polk Audio T15 means that you don’t have to buy additional subwoofer as well. 150 Watt RMS – With the maximum power output of 150 Watts, nominal impedance of 8 Ohm, and 89 dB sensitivity rating, these speakers are pretty beefy. And if you pair them with a 20 Watt amplifier, you’re gonna create an unforgettable audio experience. 5-1/4” woofer – The Dynamic Balance woofer is made of polymer composite and is tucked in a surround made of rubber. The result is that it delivers a pretty clear sound in low frequencies, without disturbing the balance. 3/4” tweeter – Each speaker also features a Dynamic Balance tweeter that’s made of the same material as the woofer. Tweeter also has a magnet made of neodymium, which is a material perfect for use in loudspeakers as it guarantees clear sound even in high frequencies. 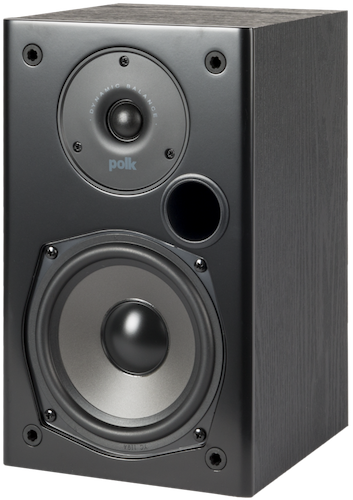 Bookshelf-compatible dimensions – Polk Audio T15 wouldn’t be called bookshelf speakers unless their dimensions were compact enough to fit well on a bookshelf. The exact dimensions of each speaker are 6.5 x 7.3 x 10.6 inches (width x depth x height). On top of that, these speakers are also pretty lightweight, so not only can you keep them on the bookshelf, you can also mount them on the wall easily. Keyhole wall-mount slot – These speakers are super-easy to use. If you want to keep them freestanding, there’s absolutely nothing you got to do. Just connect them to a computer (or TV, turntable, etc. ), plug the adapter into power outlet and voila, your job is done! But, if you want to mount them on the wall, you will have to get your own mounting hardware as it’s not included in the package. The good news is that you won’t have to spend too much, as all that’s needed is a wall anchor that would go into keyhole slot. MDF cabinet – MDF is a type of engineered wood that’s cheap, yet pretty good at curbing down resonances. Using this material enabled Polk Audio to construct a set of speakers that do not cost too much, but which maintain almost the same level audio quality as the speakers made of more expensive materials. 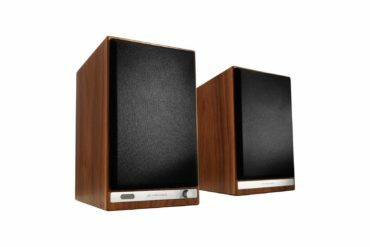 Warranty 5 years – Polk Audio is giving a 5-year warranty on these speakers, which shows how confident the manufacturer is that the speakers are gonna work fine. Decent audio quality – Bookshelf speakers aren’t meant to provide you with studio-grade quality; instead, their job is to ensure you get an amazing experience while listening to your favorite music or watching movies. And that’s exactly what Polk Audio T15 do. These speakers deliver clear sound in almost all the frequencies that the human ear can hear. Classy design – Because they’re black, these speakers will look fine no matter where you put them. Furthermore, because they’re pretty compact, they won’t poke the eyes of everyone that comes in your living room. And because of their size and weight, as well as for the fact that they have a keyhole slot at the back, you will be able to mount them on the wall without any major difficulties. Impressive build quality – You can be sure that Polk Audio T15 bookshelf speakers are gonna serve you very well for years and years even if you like to play your music with the volume turned up to the maximum. We’re not saying this without proof. 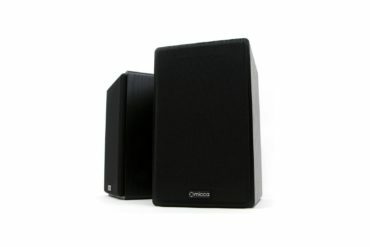 The fact that the manufacturer is giving a 5-year warranty on these speakers is an evidence that they’re expected to work well for a long time. 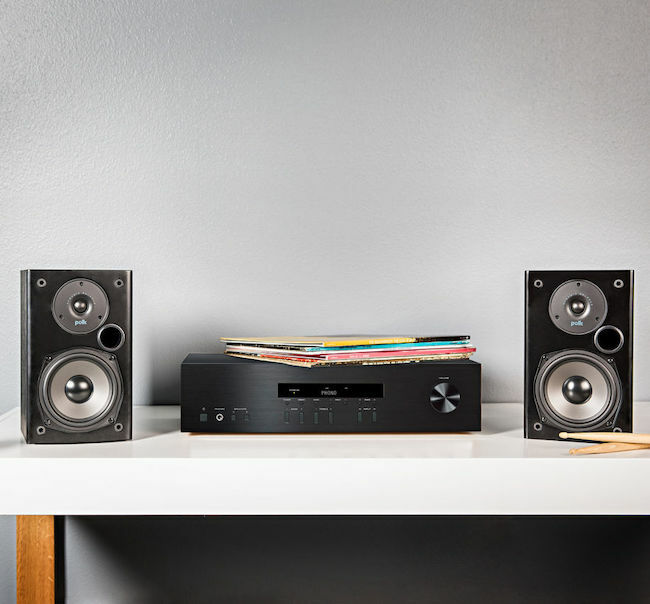 Compatible with a variety of devices – You can connect these bookshelf speakers to your computer, but also your TV, turntable, smartphone, and whatnot. The best thing is that you probably won’t have to buy any special adapters to do that. And even if you do, adapters are pretty cheap. Again, Amazon is your best marketplace for adapter shopping; that’s where you can find them at a price of only a couple of dollars. Cheap price – Polk Audio T15 are among the cheapest bookshelf speakers you can find. With the price way below the hundred dollar mark, they’re definitely considered budget speakers. But, their specs and features are definitely not budget-grade. Passive speakers – To get the most out of these speakers, you will have to get a 20 Watt amp. This means that you will have to pay a little bit extra to get the real deal. You can find some really amazing amplifiers on Amazon, which cost only about 20-30 bucks. No mounting hardware – The speakers do not come together with mounting hardware, which means that you will have to buy it on your own. Sure, these things aren’t expensive, but you’ll still have to invest some time and energy to get ahold of them. Not for professional use – Polk Audio T15 are near-field bookshelf speakers and you need to keep that in your mind. They just can’t compare to high-end studio-grade speakers with their performances. But, at the same time, they cost much, much less than pro speakers. If you are not completely satisfied with what Polk Audio T15 has to offer, we’ll be glad to help you find a suitable alternative. But, what’s the best alternative gonna be depends on your preferences, as well as your budget. For example, if you’re looking for even cheaper bookshelf speakers, there aren’t too many options before you. 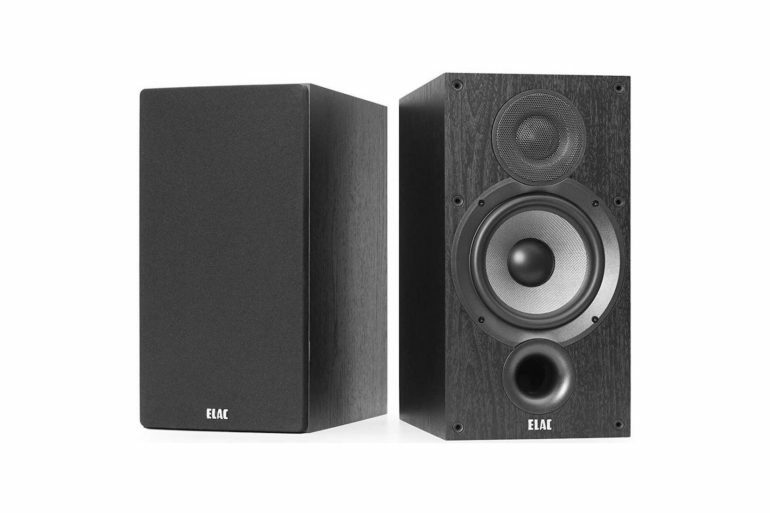 Edifier R980T is the only set of bookshelf speakers in the same price range as Polk Audio T15 that’s equally good. Actually, because Edifier R980T are powered speakers, some believe they’re an even better option than the T15. And if the audio quality is what concerns you, not the price, then our advice is to take a look what KEF has in the offer. KEF LS50 bookshelf speakers are the ones that first come to mind. They are more expensive, but their audio performances are out of this world! All the bookshelf speakers we have mentioned come only in black color. If you want something more colorful, we have some ideas in mind. 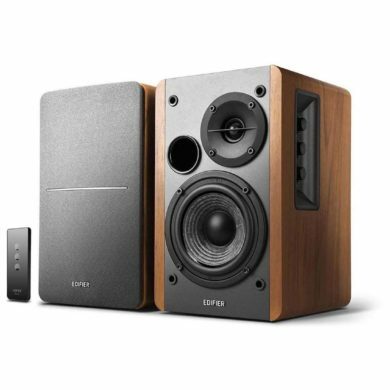 Edifier R1280T is a set of bookshelf speakers that really stands out with its design. At the same time, these speakers are also amazing in terms of performances, something that you can learn more about by reading our Edifier R1280T review. Money makes the world go around and if you’re willing to spend a few hundreds or even thousands of dollars, you can choose from all sorts of loudspeakers. But, if you don’t want to spend more than a hundred dollars, your choices are more limited. Of course, this doesn’t mean that you can’t find good bookshelf speakers in that price range. You can! And Polk Audio T15 are the proof! These speakers deliver pretty good audio performances on a budget. They also look classy and are very easy to use. On top of that, Polk Audio did a really good job constructing them to be sturdy and durable, so after buying the T15 speakers, you won’t have to get new ones for years. Our question is what more can you ask from a set of bookshelf speakers?